When I first started climbing I didn’t really “get” it. So you go up until you can’t go up anymore? Sounds a little scary. It wasn’t until I realized that every climb is like a solving a puzzle, that I started to get the climbing bug. Boiler Room member Ardyn tries out a bouldering route in the recently improved “cave”. 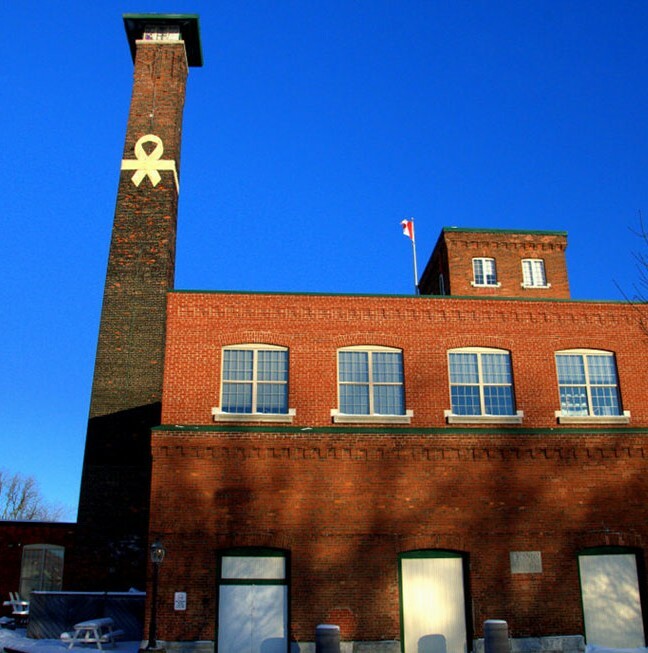 The Boiler Room is located in the historic Woollen Mill at 4 Cataraqui Street and boasts Canada’s highest indoor climb via the chimney. The Boiler Room has both top rope (climbing while secured by a rope and harness) and bouldering (climbing at a low height without a rope) options. The Boiler Room features Canada’s tallest indoor climb through the historic chimney. 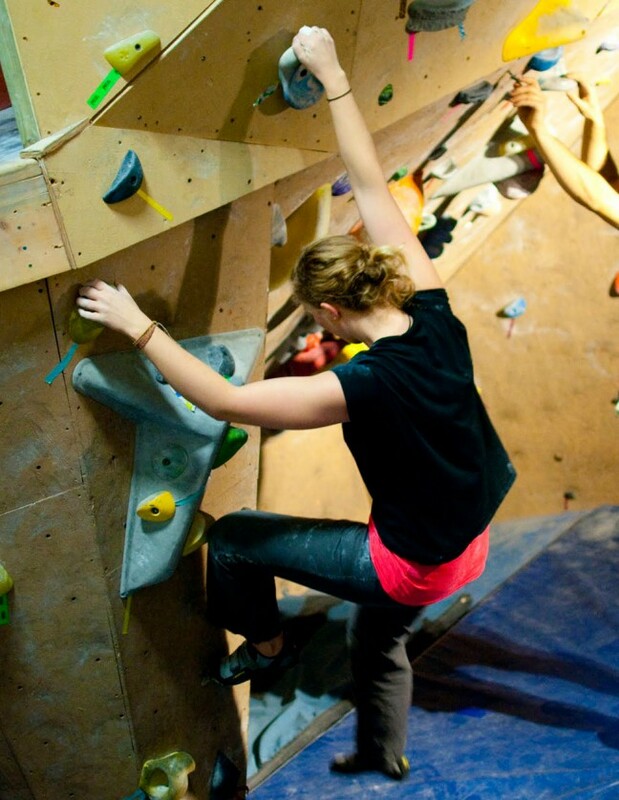 Kingston has recently gained another gym – The Kingston Bouldering Cooperative (KBC) — dedicated purely to bouldering. The operating hours of the KBC vary so check the schedule before heading over. 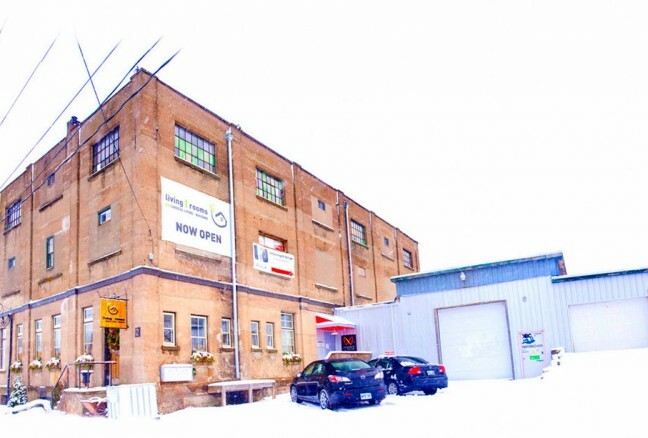 The KBC is located a short stroll from the Woollen Mill at 12 Cataraqui Street — look for the garage door. Bouldering routes are rated from V0 (easy) to V16 (extremely difficult) and are marked at the beginning of the route. All the routes are marked with coloured tape — ask one of the members for what the different tape means. The Kingston Bouldering Cooperative (KBC) at 12 Cataraqui Street. Top rope climbing routes are graded by difficulty from 5.0 (easy) to 5.15 (extremely difficult). All the climbing routes at the Boiler Room have the gradings posted so someone new to climbing can find easier climbs and work their way up. The Boiler Room has a variety of easy and difficult climbs to ensure there’s something for everyone. 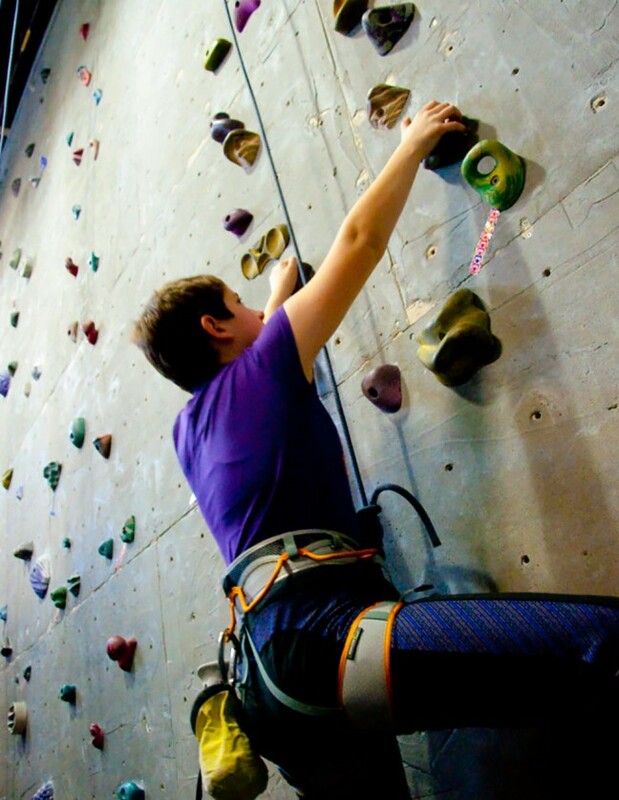 For new climbers, the Boiler Room offers rental equipment and requires that you complete a belay lesson to ensure everyone is climbing and belaying in a safe manner. (Tip: Shoes should fit snug, like socks). 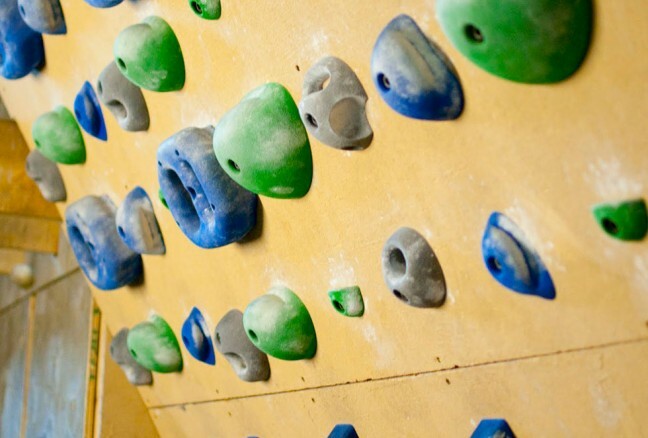 The Boiler Room also offers lessons and an eight-week course called Rock Solid — a hands-on course aimed to take your climbing to the next level. Parents of adventurous kids can nurture their child’s athletic side by trying out climbing or hosting a birthday party at the gym. The Boiler Room offers family memberships and a kid’s camp in the summer. Boiler Room member Raelyn tackles a route. If you’re looking to improve your physical endurance the Boiler Room has added a section dedicated to working on technique and fitness. The owner’s background as a mechanical engineer means the gym is constantly being improved. The recently renovated workout area has sample workouts posted so you can tackle them solo or join in on the member workouts every Wednesday night. Members also benefit from discounts on equipment and members-only hours. Avid Climber Serra (11 years old) tries a new route for the first time. The recently renovated workout area at the Boiler Room. I’ve been climbing for over a year and it hasn’t lost its draw. Now that I understand the attraction to climbing I find the combination of the mental and physical challenge unmatched in any other activity; it’s engaging and relaxing at the same time. 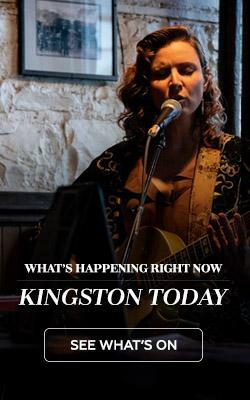 Kingston is the perfect place to try the sport because the community is encouraging and supportive. 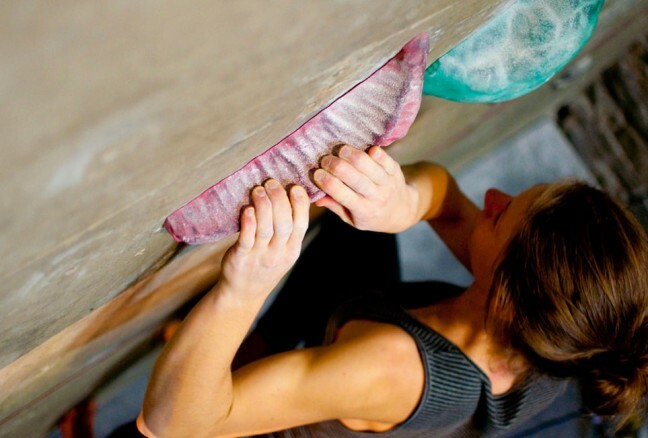 Even the experienced climbers at the gym started as a beginner at some point! The staff and members are friendly and will gladly answer your climbing questions or give you “beta” (advice on a route) because they all have something in common – they all love climbing! As a beginner or seasoned climber, you’ll find a fun and challenging climb in Kingston.